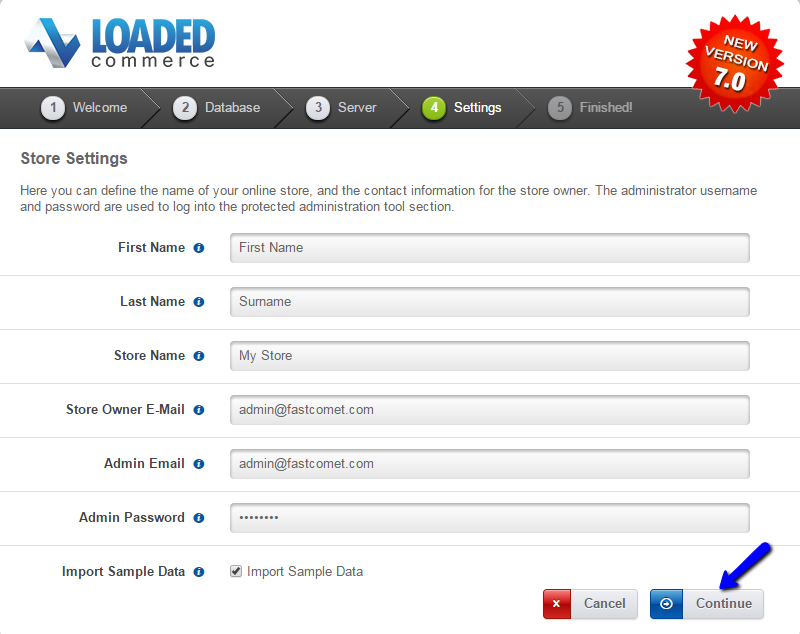 In this tutorial, we will review the manual installation of Loaded Commerce on your account. The process is easy to complete and we will review the steps for that so you can configure the application per your needs. There is an easier way of installing Loaded Commerce on your account. 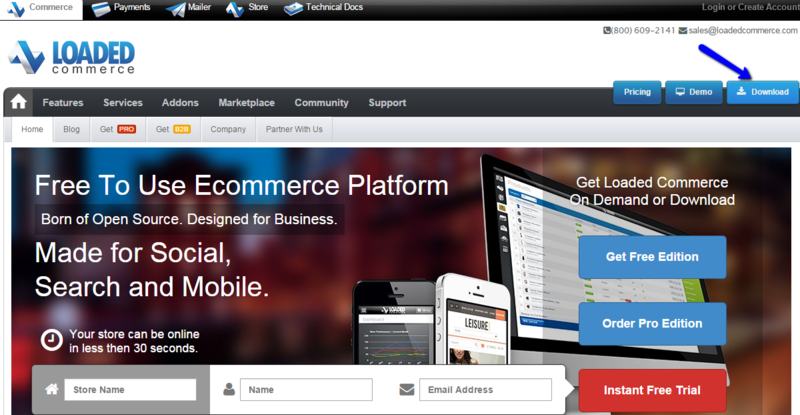 It provides an automated setup of Loaded Commerce via Softaculous. The first step of the process is to download the application. You can do so via the official Loaded Commerce website. Click on the Download button at the top-right section of the screen. Enter your name and email address and then click on the Get Free Download button to proceed. The next step is to prepare the Loaded Commerce files for installation. You need to extract the contents of the archive you have downloaded on your local computer. This will create a loaded7-master/ directory, which includes all of the files that you need for the installation. Within that directory, you will notice another one, which is called catalog/. This directory contains all of the files you need to perform the installation on your account. The next step is to upload the files of the catalog/ folder to the server. The important thing here is to make sure that you upload them to the exact directory where you wish to install Loaded Commerce. For example, if you wish to install the application on your primary domain, simply upload the files directly to the public_html/ directory of your account. 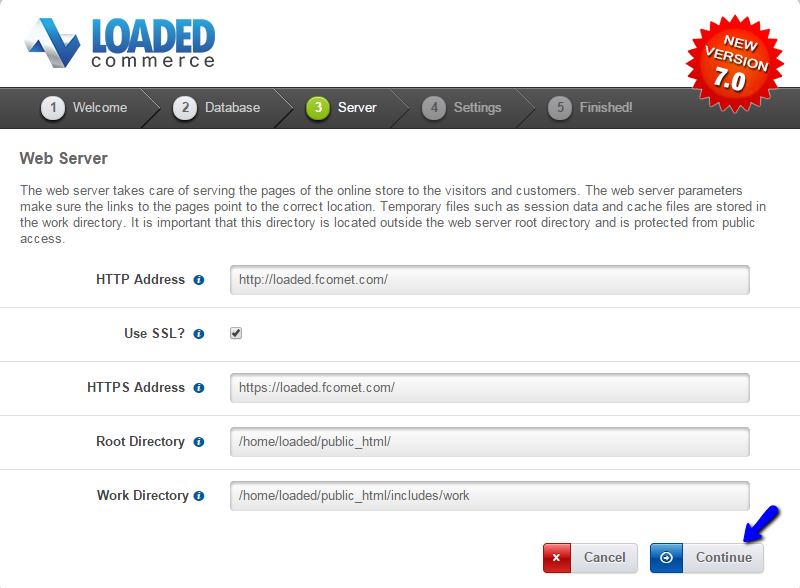 Up until this moment, you will have a location on your account, which contains the Loaded Commerce files. To initiate the actual installation, you need to access it via your favorite browser. The system will automatically call the installation script for you. The first step is to perform a system check. 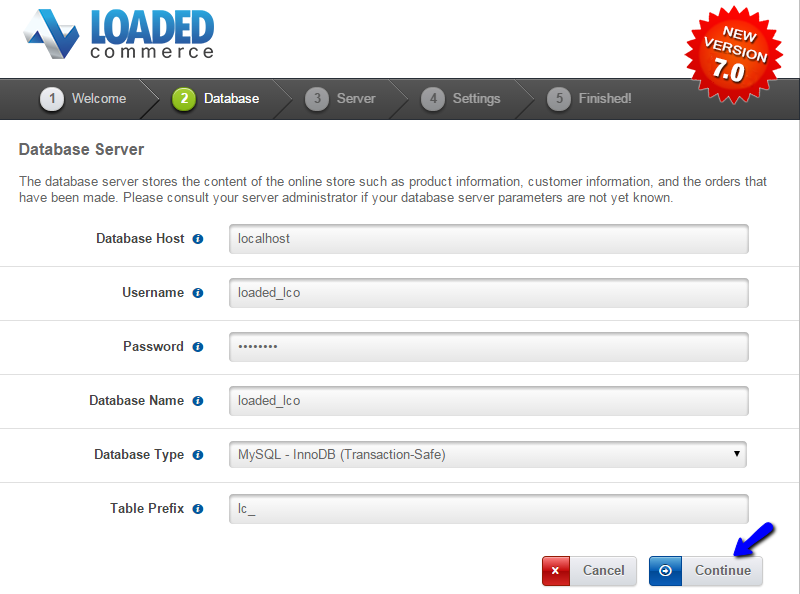 This will test if the server meets the requirements of Loaded Commerce, before it can proceed with the installation. 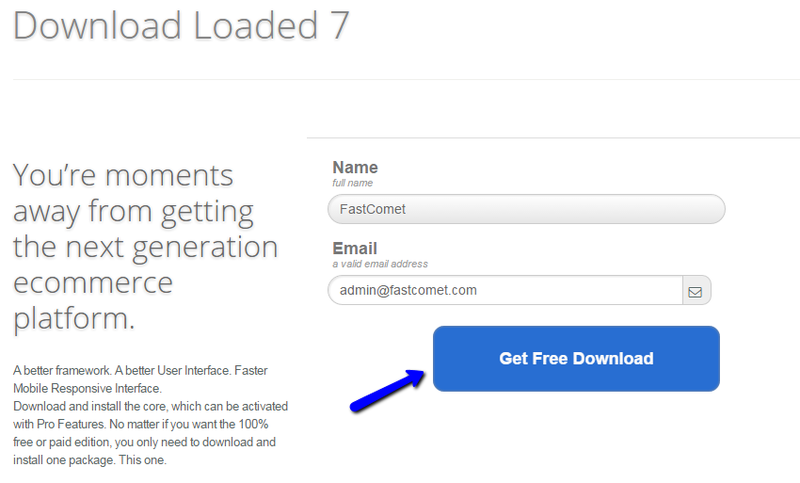 FastComet servers are fully optimized for the application so you will not have any issues on this step. Check the requirements for your information and then click on the New Install button to proceed. The next step is the Database configuration. You will need to create a new and empty database for your website and a user assigned to it with full privileges. Database Type - Choose the database type you will use for your website. When you edit these options, click on the Continue button to proceed to the next step. Use SSL - Enable this option only if you have a valid SSL certificate installed on your domain by our technicians. Click on the Continue button to proceed with the installation. 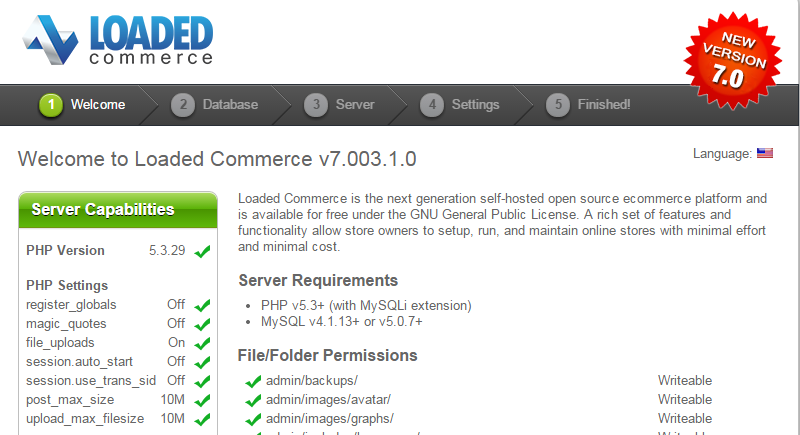 The installation of Loaded Commerce is now successfully completed. The system will display a notification for you, which includes direct links to the front and back end of your new website. Keep a note of them for your records so you can easily edit and manage your new website.